Welcome to Pender Island Golf and Country Club! One of B.C.’s most beautiful 9 hole public golf courses. 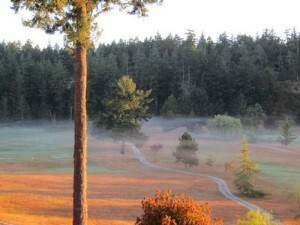 This Gulf Island Jewel offers four elevated tee boxes and affords expansive views of the challenging golf shots that lie ahead. The course is deceptively challenging, with 6 separate tees for the back nine, yet it is a great recreation destination course for all handicappers. 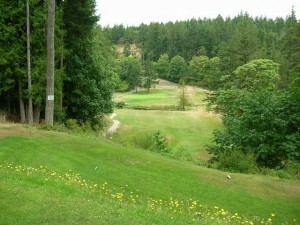 The signature #8 hole features 2 elevated tee areas and plays 230 yards over water to an undulating 3 tiered green. A replica of the stone bridge at St Andrews is a feature of this hole, with extensive rock work on both the 8th and 9th holes adding to the spectacular setting. 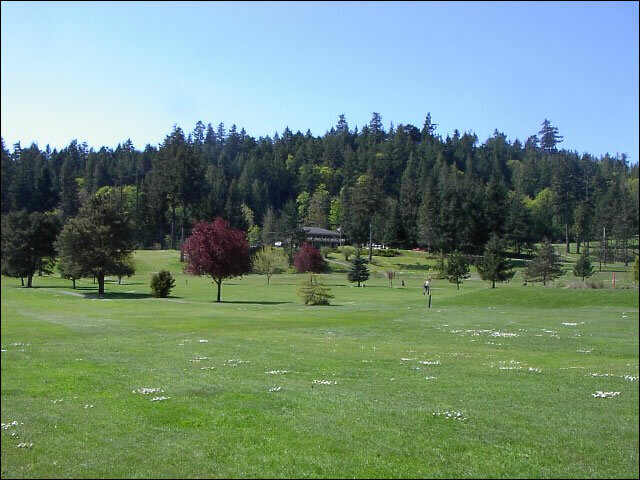 With bald eagles soaring high above the valley layout….. it’s hard to imagine a more enjoyable situation for a round of golf. 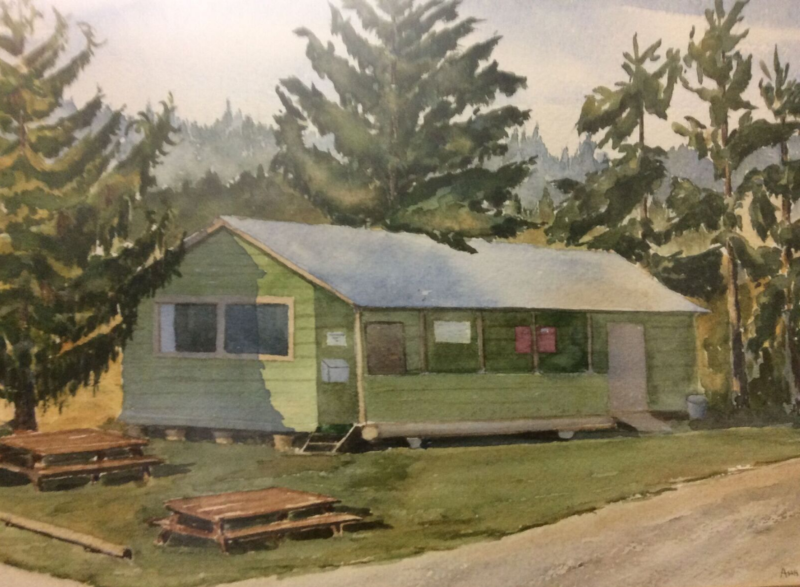 In 1937 several Pender residents put up money to purchase a 60 acre parcel from George Grimmer (a son of Pender pioneer Washington Grimmer). These first individuals and many others took out memberships and worked hard to plan and develop the layout, and build the tees and greens. 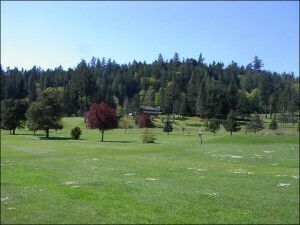 Incorporated as a society in 1945, with the exception of a brief hiatus during World War II, Pender Island Golf Course has run continuously since that time. 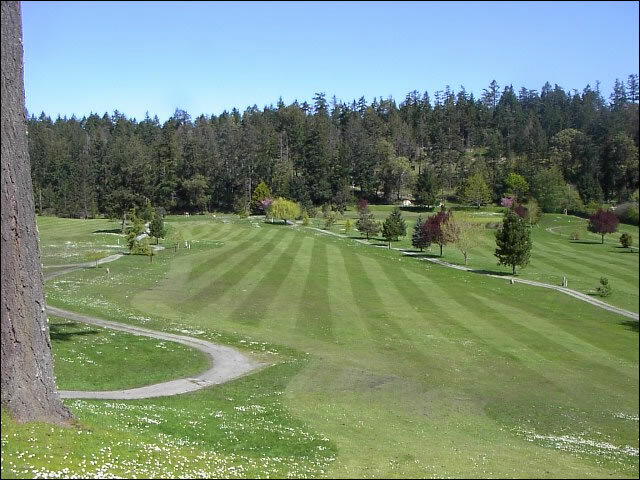 From the beginning, member volunteers have played a major part in the upkeep and development of this wonderful golf course, of which they are justifiably proud. Open year round (honour box for green fees during peak off-season), the public is welcome to come and enjoy this wonderful golf facility, to browse through the well stocked golf shop, spend some time on the putting green and practice area or simply come to enjoy an excellent breakfast or lunch on the deck or in the lounge at El Faro. 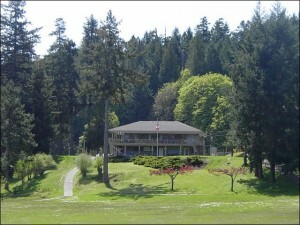 You can book your tee time on line or by calling the pro shop at 250-629-6659. Our new clothing is in so come down to the pro shop to check things out...wonderful clothing for hiking and kayaking as well as golf! El Faro will be open Tuesdays through Saturdays from 11:00 - 4:00, and Saturdays for dinner 5:00 - 7:00. For more information please call Deryk or Rebecca at 250-951-6224. 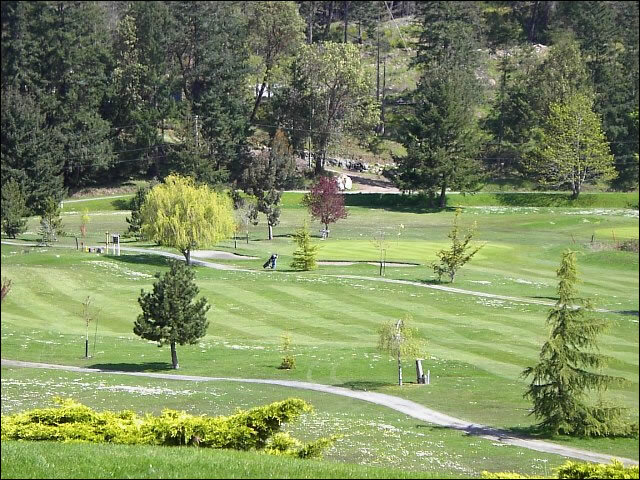 See you out on the course! 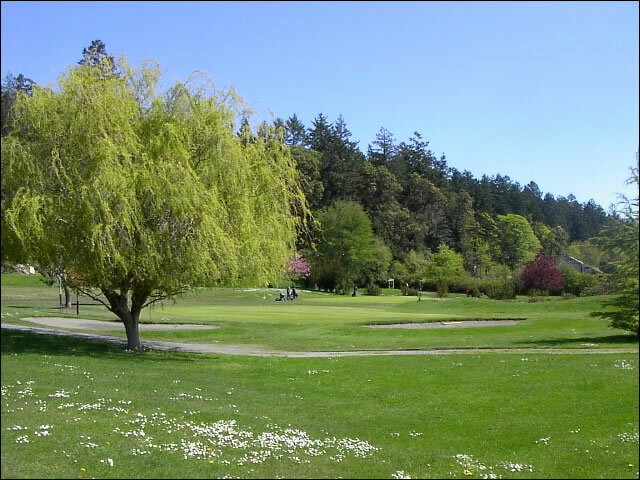 Copyright © 2019 Pender Island Golf and Country Club All Rights Reserved.